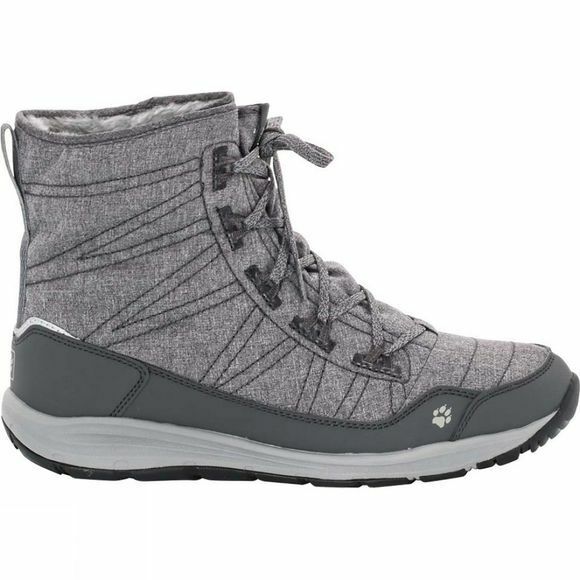 Providing a little extra comfort on cold winter days, the stand-out feature of a super-lightweight, warmly lined Womens Portland Boot from Jack Wolfskin is the distinctive slouch upper in marled-look textile fabric. The boot is lined in fleece so it keeps your feet warm right up to the ankles. This is a great boot for milder, drier winter days in and around town.